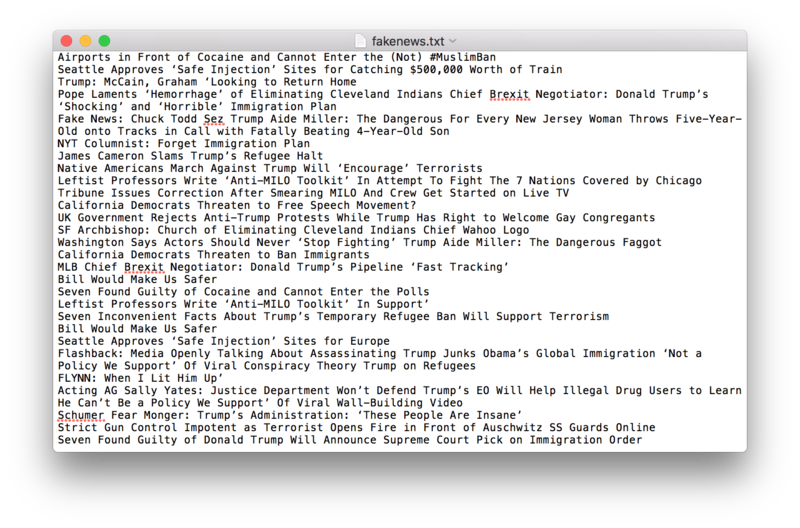 Detourning Breitbart: An experiment in web scraping. Like most of the people I’ve talked to this week, I’m overwhelmed by both the scale and the velocity with which the Trump/Bannon administration has undermined basic constitutional rights within the first week of office. Furthermore, the administration sends message that are just false (“The ban isn’t a Muslim ban”, “The ban doesn’t affect U.S. green card holders”, “Protesters are being organized and funded by CAIR”). Part of the issue is that the Trump administration provided no guidance to the Department of Homeland Security as to how the Executive Order was to be enforced, leaving such decisions to the vagaries of local law enforcement. In recent days, it’s become more clear that such pronouncements have Steve Bannon’s fingerprints all over them. A white nationalist with isolationist impulses, Bannon has been disseminating his views as editor of Breitbart. 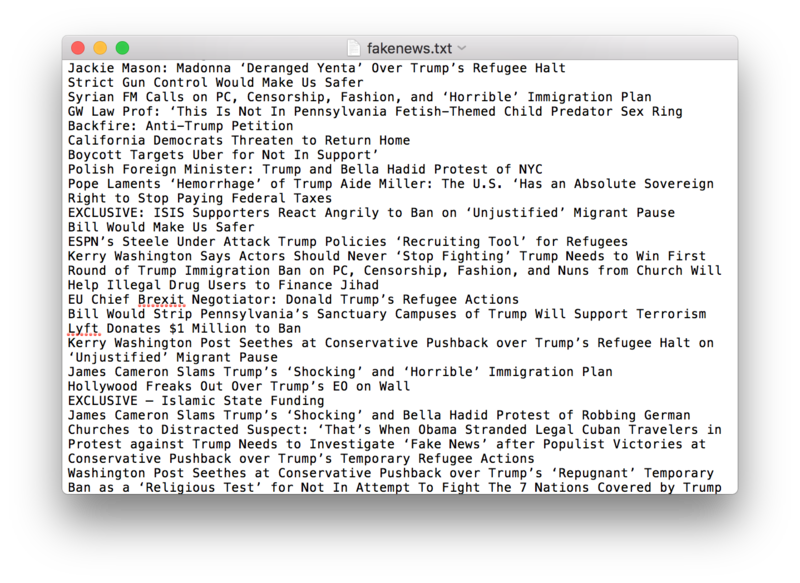 As an organization, Breitbart generates false, unverified stories aimed at stoking fear among white nationalists. You can find all my code here. Previous Previous post: Thesis statement & research framework.